The finest 100% solid birch ply backs our engineered oak floorboards. We harmoniously match the same specific weight per m3 with our Mountain Oak top layers and our solid Birch Ply base. The acoustic values for both sections of the board match to produce the same high-quality sound when walked upon which is equal to our traditional solid oak floorboards. Our brand of Birch Ply is WBP – Water Boiled Proof, which means you can submerge them in boiling water for 30 minutes with peace of mind and zero de-lamination, which is vital for longevity and internal moisture and temperature changes. Cheaper Birch plywood and softwood plywood would fail miserably in such demanding environmental conditions. The pressure applied to secure our Mountain Oak top layers is 28 kg/cm2 (x3 more than the common 8 kg/cm2 with mass produced engineered flooring). Extra pressure eliminates minute difference’s in structural thicknesses and removes much of the tension from the oak itself. Expertly applied overkill demands more board stability, thus eliminating potential aftercare problems. The hardwood wear layer is produced just like a solid oak board. The tree is normally air dried, and then cut into thick planks. These are kiln dried and then sawn into a 3,4,5 or 6mm veneer, which is what we call the wear layer on an engineered board. This layer is carefully machined to create a high-quality veneer that is both smooth and consistent in its dimensions. This process produces a board that has the same feel and grain appearance of a solid board. By cutting into thick logs and kiln drying them and then cutting the veneer it means that the wear layer is calibrated to a consistent thickness which avoids thick spots in the board and in turn, would mean that the board is not evenly pressed and could end up inconsistently bonded. The veneer is then coated by a machine to get a consistent covering with a pre-mixed Dynea Adhesive before laying on top of a quality approved pre-cut piece of multilayer Birch plywood. The plywood we use has a consistent thickness in each layer and is kiln dried to the same moisture level as the veneer. Once this is completed the boards are “balanced in a kiln to ensure that the level of moisture in both the solid top layer and the plywood is the same before being processed in a profiling machine and finishing line. Imported mountain oak in packs 600-2450mm long. Average guaranteed 1900mm+Long. China, this oak is kiln dried to 8-10% which is not suitable for the UK climate. Because of our humid climatic conditions with such a low moisture level, there is greater potential for movement and moisture intake. 160, 185, 200, 220 mm wide and 20mm thick. Pre-planed, accurately machined to tongue and groove profile, then multi macro sanded. 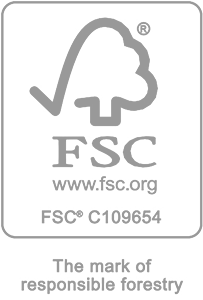 Continually available stock from European Forests. 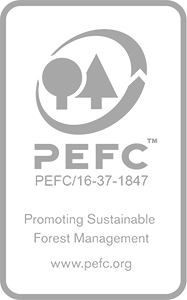 Specifically requested grade from specific mountain oak forests, to give maximum character and maximum strengths. Because of the rich earth and ideal sunlight conditions and minimal water reserves, these specific trees grow steadily and produce a steady growth of branches. The result being a board with a steady supply of characterful knots and growth rings unlike cheaply produced more erratic grow patterns. After machining, character oak boards will be accurate to a potential .5% of the width due to possible minute expansion and contraction in transit or within our warehouse. This is to be considered normal with character oak, similar to knots and shakes. Cut Veneer: The hardwood wear layer is produced just like a solid oak board. The tree is normally air dried, and then cut into thick planks. These are kiln dried and then sawn into a 4 mm or 6 mm veneer which is what we call the wear layer on an engineered board. 4mm is industry standard for a 16mm platform and 6mm is standard for a load bearing 21mm platform. This layer is carefully machined to create a high quality veneer that is both smooth and consistent in its dimensions and has the same feel and grain appearance of a solid board. The veneer is then coated by machine to get a consistent covering with a pre-mixed Dynea Adhesive before laying on top of a quality approved pre cut piece of multilayer Birch plywood. The plywood we use has a consistent thickness in each layer and is kiln dried to the same moisture level as the veneer. These boards are then loaded into a cold hydraulic press at more than 5000 tons pressure per square meter to ensure that the adhesive penetrates the cell structure of the plywood board and solid oak veneer and left to cure. Once this is completed the boards are “balanced in a kiln to ensure that the level of moisture in both the solid top layer and the plywood is the same before being processed in a profiling machine and finishing line. The Birch Ply 11x multi cross layered base is of the highest quality available. Each piece has been ‘boiled tested’ through rigorous controlled tests to ensure maximum stability in cold and hot conditions. The Castle range has been calibrated to feature natural undulation and more traditional finishes reminiscent of regal country interiors. Each Castle product has rich character and a luxurious polish akin to the Victorian period waxed floors seen in some of England and Europe’s finest listed manors and estates. Available as solid or engineered. The Habitat range was created to emphasise the natural environment of the Earths landscapes. Developed as an extension of nature the Habitat range is the result of original handcraft techniques designed through a natural drying process. This range uses the finest solid oak boards that are guided and shaped by expert hands producing a natural more subtle surface undulation with scenic colours. All Habitat products are highly tactile as well as visual and are perfect for those who like to feel the grain of wood against a bare foot. The Habitat range is the ultimate aesthetic for those who seek to bring a little more of the wild, untamed outdoors within. Available as Solid only. Due to the nature of all reclaimed wood flooring products, we cannot technically regulate each batch or indeed each species for repeated regularity, you could argue this is the beauty of reclaimed wood flooring. Our stock is generally sourced from the UK, France and sometimes Eastern Europe. Wood history and environmental conditions play a part in the condition and grade specifics of each piece of timber. Grades, age and contaminations all vary within each particular product. Some of our reclaimed stock maybe kiln dried down to 6-8% only if the boards are to be used over under-floor heating, in normal cases our French oak, for example is kiln dried to an estimated 10%. Some of our reclaimed products do not require kilning, this is because they are ‘well seasoned’ which means that they are so old and the cell structure within the wood has changed, wood structure is more stable and the wood itself will not absorb moisture easily. We will advertise each reclaimed product accordingly. We would also advise you to view a sample panel before purchasing, this way you will be more confident with your purchase.